Learn to Compete Against Domains in Your Niche. 6.1 How strong are your competitors? 7.1 Competitive Landscape Analyzer in action. Search engine optimization includes the ability to understand your competition. The competitive situation is different in Google for any given country, language, industry, or search term. For this reason alone, it's important to conduct a competitive analysis. Competitive Keyword Analysis can quickly validate your online competitors, and you can begin to reveal the strengths and weaknesses of your own domain. 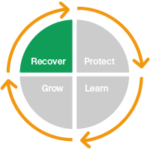 Competitive Domain Analysis gives you quick insights in areas of potential improvement. Discover how your link building strategy or link profile differs from your SEO competitors. These are ways you get insights into the level of your competition and the ability to rank in search engines. In this guide, Tom Black takes us through 5 of the LinkResearchTools that you can use to analyze your online niche. Following this guide will show you how your competitors perform well in search engines and why they achieve a better rank than you. 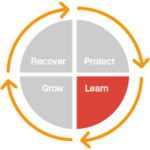 Based on your analysis, learn how to adapt your own strategies and outperform your competitors. In this short guide, I will share with you my approach to Competitive Domain Analysis (CDA), and how you can use the LRT suite to analyze your niche and competitors. Before you jump into any SEO project, it is paramount that you understand how well (or poorly) your website is performing against the competitors, and how competitive is the market you will be competing in. Without that knowledge, it can be very difficult to compete, win, and dominate your niche. Competitive Domain Analysis (CDA) is the analysis of a domain/website ability to perform/rank in the search engines. 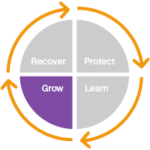 CDA is based on external/off-page linking factors. CDA compares your domain to the domains of your competitors. The main objective is to assess the level of competition and your ability to perform/rank in the search engines. Competitive Domain Analysis can also help you qualify clients and set their expectations and deliverables. It is important not to confuse CDA with SEO audit, as the two are quite different. If done correctly, thorough CDA will lay a solid foundation for your overall strategy. Before you can do Competitive Domain Analysis you’ll need to figure out who are your competitors. Start with talking to your client. The chances are they know their niche much better than you. Do a quick research, Google your main keywords. 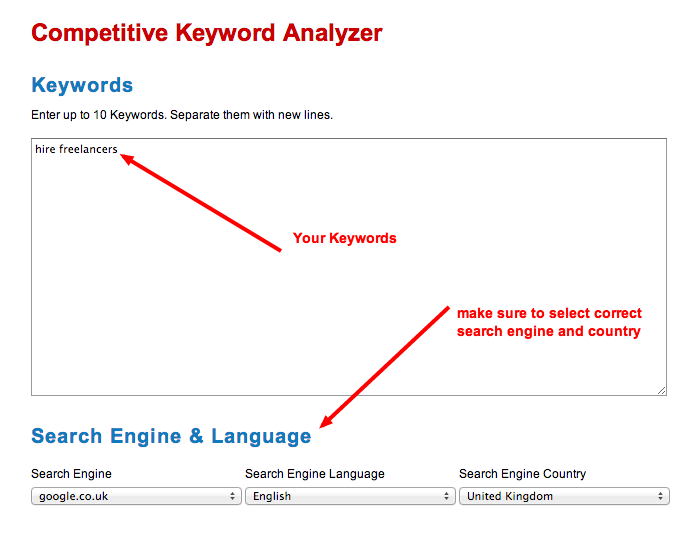 Finally for a proper check, use the Competitive Keyword Analyzer. Now, let’s look at the CKA report below. You now have a list of competitors. Before you go any further, you need to validate them. Just because someone ranks for your keywords, it doesn’t necessarily mean that they are your direct competitor. The same goes for info provided by your client. Some of the competitors provided by your client may not necessarily qualify as an online competitor. A good example would be a competitor who has a strong offline presence and is in direct competition with your client, but has a very weak or no online presence. For example, a brick and mortar shop competing with your client offline, but having no online presence. There may be a reverse situation when your client does not perceive someone as a direct competitor. However, because they are trying to rank for the same keywords, they are effectively competing for online visibility/share of voice. Use common sense. Pick up the phone and call your client. If you’re still in doubt, do more research. LRT Power*Trust™ - evaluates quality based on a power / trustworthiness ratio. LRT Power™ - evaluates strength of a domain. 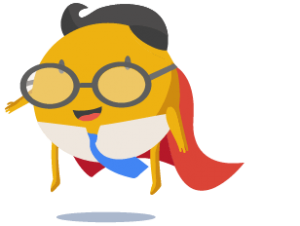 LRT Trust™ - metric that supports you in evaluating quality of a link. 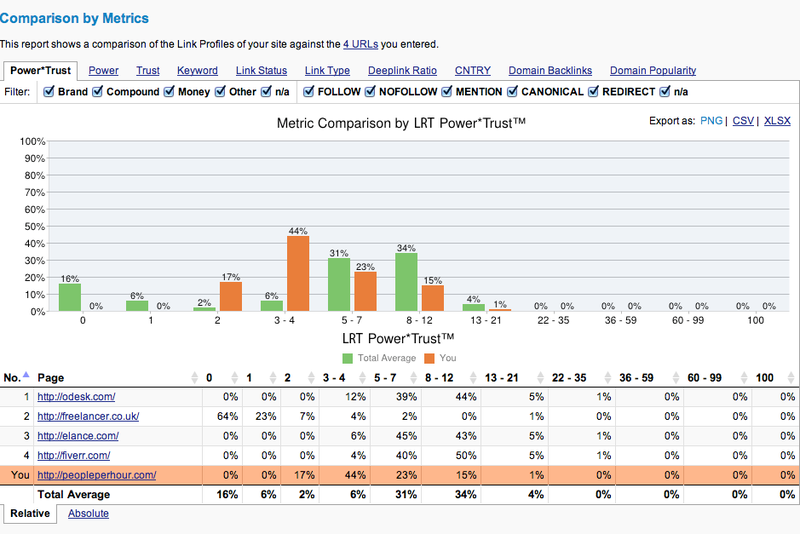 You can see more info on LRT metrics here. As you can see, using QDC can quickly establish a number of important facts about your competitors’ domains. What are their strongest and weakest points? How many links do they have. Perhaps, they have a number of .edu links, or maybe a lot of site-wide links. A QDC check can give you an idea how much time and effort will be required to get to the level of your competitors. You may find out that you are already at their level. As a consultant, you can also use QDC to pre-qualify a client. Knowing how strong the competition is will help you qualify clients and estimate the price you want to quote them for your services. I use CDA and QDC during my initial meetings with new clients. It helps in setting expectations, especially when dealing with clients with brand new websites trying to break into very competitive markets with large numbers of already established competitors. For many clients, QDC can be a real reality check, particularly amongst those with high expectations but weak websites/domains. 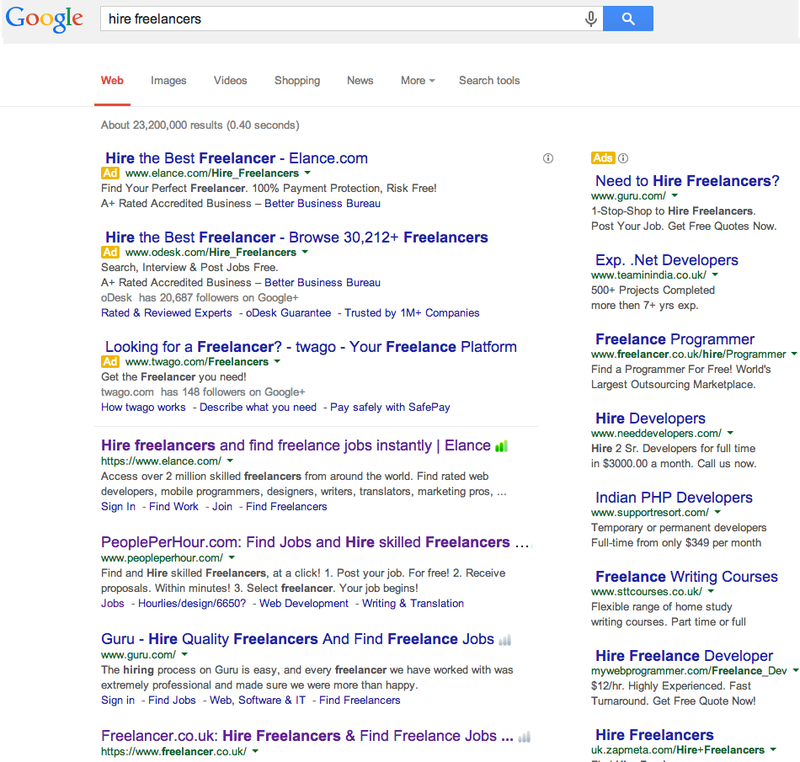 It’s and easy way to show how weak the website/domain is in comparison to that of the competitors. For such clients, a QDC can highlight the amount of time and money that needs to be invested in order to catch up and overtake competitors. 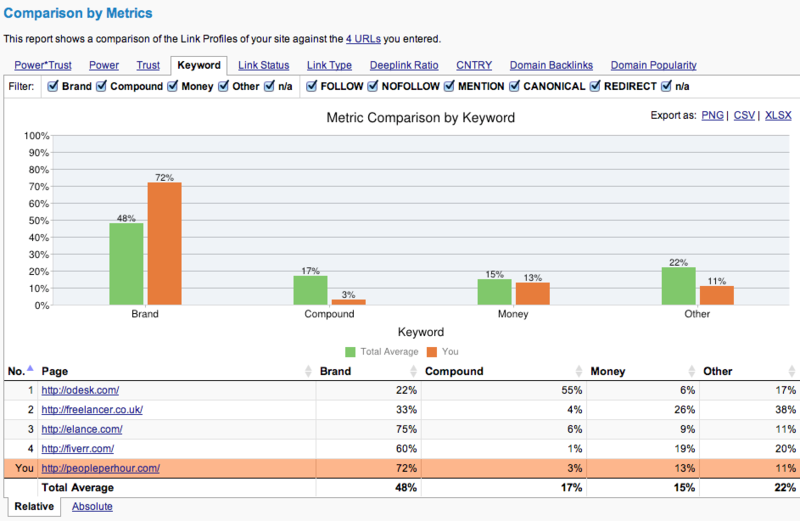 The CLA Tool lets you compare your domain against your competitive landscape. It will serve two purposes. You can see your domain in comparison to your competitors. 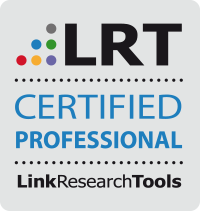 It’s a truly powerful tool, and one of the more complex tools in the LinkResearchTools suite. I’m not aware of any other tool today on a market that would have the power and features comparable to the Competitive Landscape Analyzer (CLA). Running CLA is very similar to running other LRT tools. 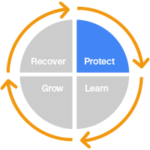 It starts with simply entering your domain and competitor's domains. Just give it a few moments to run, do its magic, and the results will quickly come in. Looking at the report, the very first thing you’ll see on your CLA report is a table similar to that of QDC, which shows your domain compared to your competitors, using 4 most important metrics; LRT Power Trust, LRT Power, LRT Trust, and Referring Root-Domains. The next thing you’ll see is a prompt to classify keywords for the domains you are comparing. If you have used the Link Detox tool before, you’ll already be familiar with keyword classification. For best results, classify as many keywords as possible. Personally, I always go through 100 % of keywords. This is where the fun begins. In this section, you can see your domain compared to the average combined score of your competitors. You can switch between tabs at the top of the chart to see comparison by different metrics. As you can see, the CLA tool is a true goldmine of information on your competitors, and the competitive landscape in general. If used correctly, it will allow you to not only choose the right strategy and catch up with your competitors, but also do it in a natural way by blending with the industry trends. The last thing you want is to create an unnatural link profile that will stick out as a sore thumb when compared to other sites in your niche. OK, so at this point you already know where your competitors are in terms of SEO metrics, and how much work and time needs to be done to catch up with them. But wait, wasn’t it Time = distance/speed? Science wasn’t my favourite subject at college, but I think that’s about right. In order to predict the time it will get us to catch up with competitors, we first need to know the speed. In this case it is the speed at which they build links to their domains. As you can see above, you have a number of filters available; all linking pages, domain popularity, text links, image links, No Follow links, redirects & Sitewide Ratio. Using these will give you a much better picture of what your competitors are up to in terms of their link building strategies. 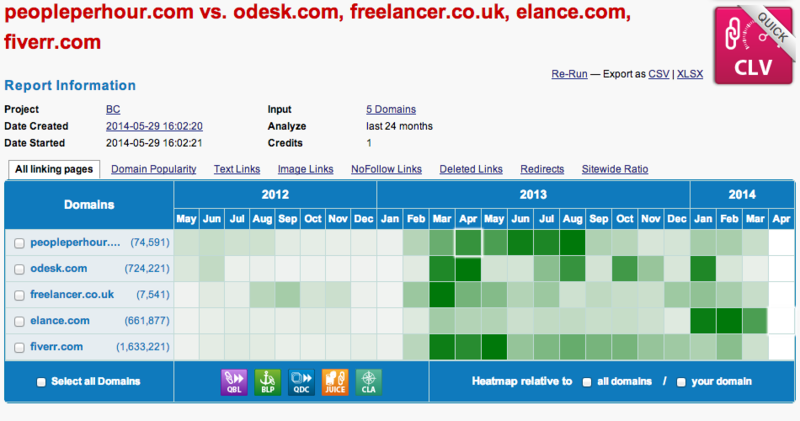 The darker the heatmap the more links were built in that period of time. 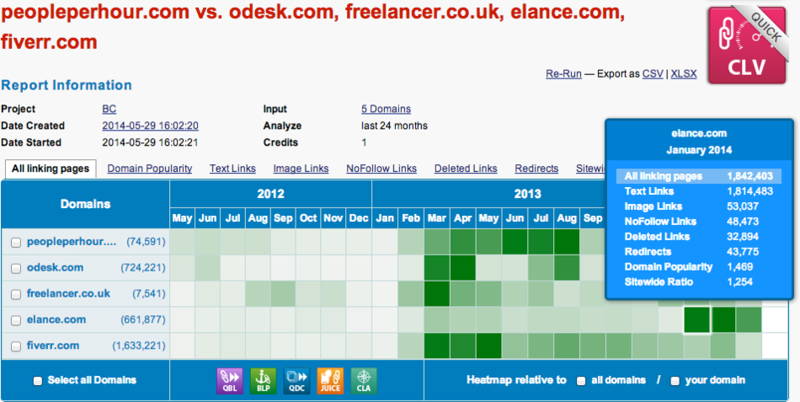 This visualisation makes comparing domains very easy. Make sure to check different views to discover what types of links your competitors are building. Don’t be fooled by number of links alone, Domain popularity is the one of the most important factors. 50,000 links from 50 domains is nowhere near as good as 500 links from 200 domains. There are very handy shortcuts at the bottom of your screen which allow you to do further checks on any or all of the domains in your CLV report. 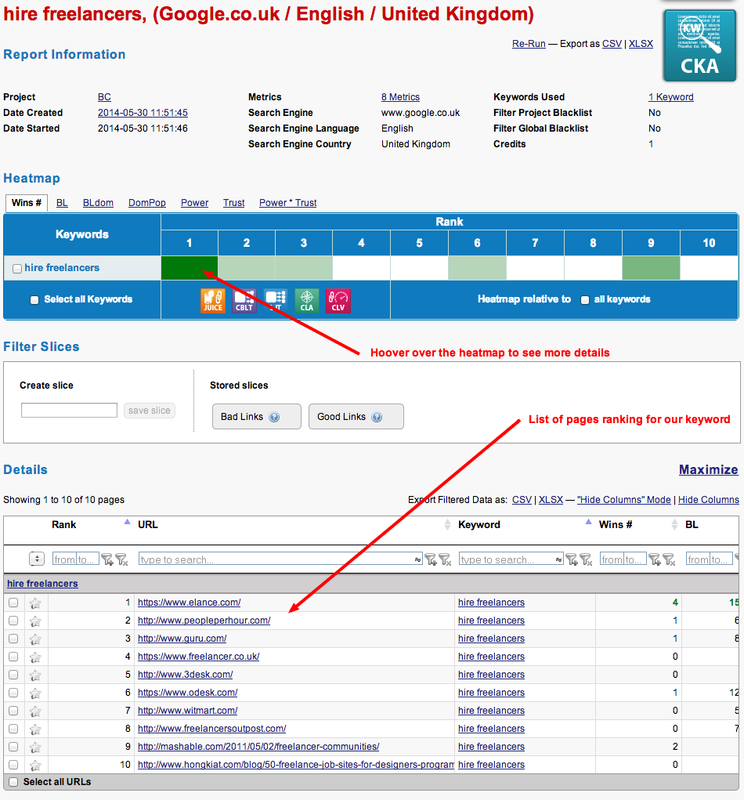 Simply select the domain and click on the tool you want to run the report with. In this case, you can use Backlink Profiler BLP to get even more insights into your competitor’s domains. Your main thing to takeaway from using CLV in your Competitive Domain Analysis should be the number and intensity of link building efforts of your competitors, as well as the patterns emerging from the data you’ve just analyzed. Remember that in most cases you want your link profile to “fit in” rather than unnaturally stand out from other websites in your niche. Living in the post penguin world, it would be rather foolish not to take into account the “health” of our competitor’s link profiles. Please note that what I’m going to show you here is an advanced feature and not something one would do as a part of initial research. So far our focus was on the numbers, types, and power of the links. As you probably know (and if you don’t than you should start worrying now) some links can have a detrimental effect on your ranking. Tools like DTOX and CDTOX can help you identify these links. 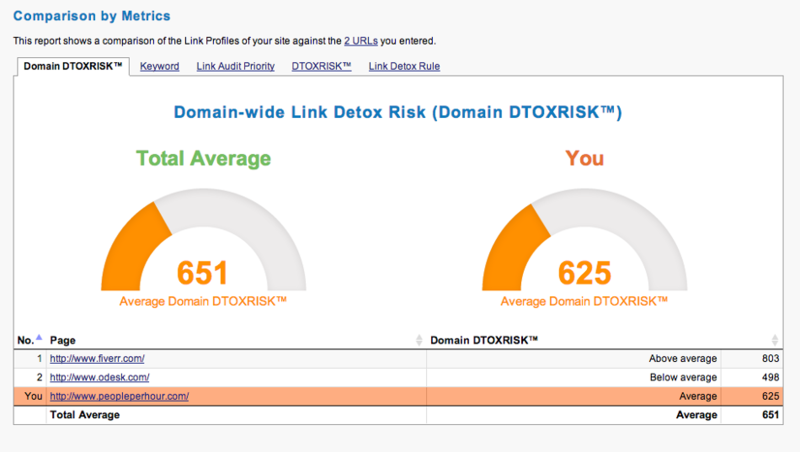 Another great takeaway from using CDTOX in your Competitive Domain Analysis can be the ability to find out how cautious or careless your competitors are about the risks associated with link building - is their average link profile classified as “low risk” or “hight risk”? This will vary from one industry to another. From my experience, industries where link building is relatively easy will have a cleaner link profile than the industries where building quality links is difficult, or industries where competition is fierce. If you look at our example on the screenshot above, you can see that the link profile of peopleperhour.com seems to be pretty average average when compared to their competitors. One thing that you’ll need to consider before jumping to any conclusions is that although profiles of your competitors may look very risky, it is possible that they have already disavowed some of their bad links. Unfortunately, there is no way of telling how many and what links have been disavowed by your competitors. I hope you enjoyed this short guide and that you now have a better understanding of what is Competitive Domain Analysis and how to use LRT suite to analyse your competitors. It is very important that you understand that each case and niche is different and there are many factors beyond the Competitive Domain research that needs to be taken into consideration before making any strategic marketing decisions. The purpose of this analysis is to ensure your website will have the chance to rank well against your competitors. What I have shown here is simply how to compare domains based on a link metrics and is only a beginning of a long journey of SEO. If you are new to SEO, keep in mind that this is by no mean a definite guide and you should approach each situation with common sense. I also advise against you taking on too much and trying to do this alone if you don’t have the knowledge and experience. This case study was written by Tom Black, Head of Search at Bootcamp Media Ltd, and proud user of LinkResearchTools and Link Detox. 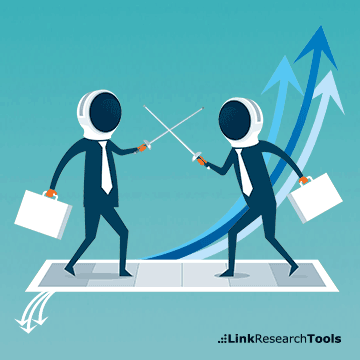 Tom Black demonstrated his expertise in creating a complete guide with helpful tips for competitive domain analysis using the LinkResearchTools and Link Detox. 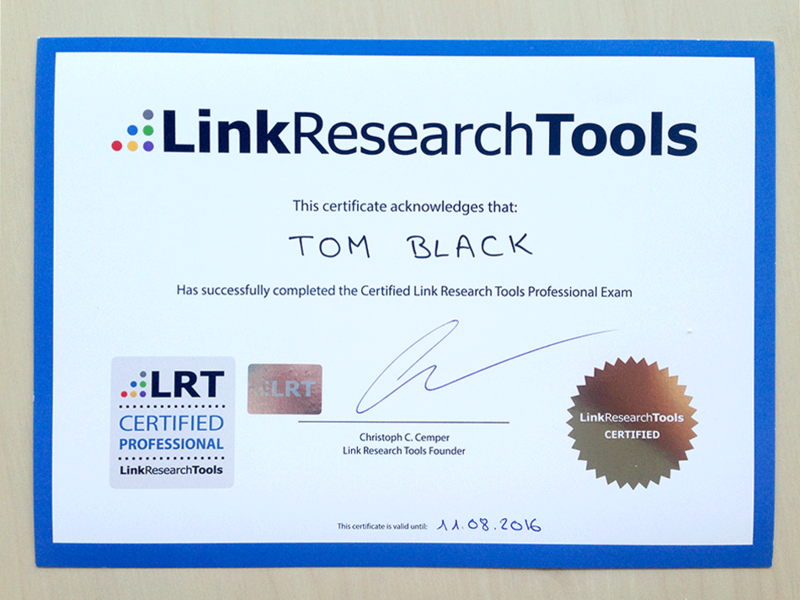 Therefore, I’m very happy to certify Tom Black as the latest LRT Certified Professional by approving and publishing his research on our site. I look forward to his future work, and personally recommend working with Tom Black whenever you get the opportunity!